Youth workers and other helping professionals regularly find themselves in situations where, despite their experience and education, they simply do not know what to do or how to respond to the circumstances facing them. 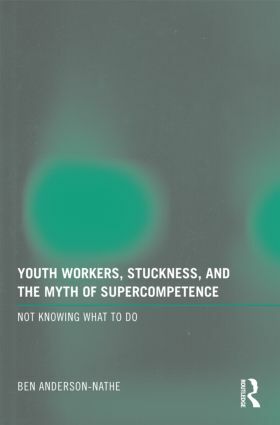 This book takes up the moment of not-knowing as experienced by youth workers, providing accessible phenomenological descriptions of the experience as lived by several youth workers. In addition to exploring the five dominant themes of the experience, the book situates not-knowing in the larger context of the helping professions and the professionalization of youth work in the United States. It concludes with a discussion of the implications of not-knowing for individual youth workers, for improved practice through integrated clinical and professional supervision, and for the field as a whole. This book will be helpful to practitioners and supervisors in youth work and other helping professions. Youth workers will be able to find themselves reflected in and readily engage with the narratives. Direct service workers and supervisors will benefit from the focuses on practical implications of not-knowing and opportunities for action to help resolve its negative outcomes. Finally, interpretive researchers and students will benefit from the step-by-step description of how to conduct phenomenological investigations. This book was published as a special issue of Child & Youth Services. Ben Anderson-Nathe is Assistant Professor in Child and Family Studies at Portland State University in Portland, Oregon, where he also coordinates undergraduate practicum experiences for students entering the fields of youth work, social work, and education. His areas of research and teaching are youth development, youth worker training and development, human sexuality, anti-oppression organizing and education, and the bridges between theory and practice in public policy, health, and social services.